The Iron Horse played in 2,130 consecutive games for the Yankees, and very possibly would have kept on going right up to World War II had he not been cut down by amyotrophic lateral sclerosis (ALS). 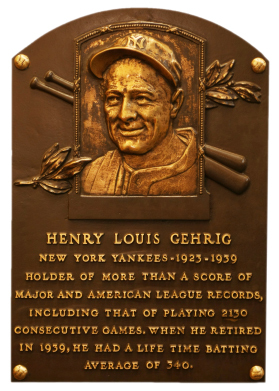 Gehrig started every Opening Day from 1926-39, hitting safely and generally doing significant damage with the exception of 0-fers in his final two openers. Most importantly within his world at the time, the Bronx Bombers won seven of his first eight Opening Days, usually on their way to something big. On April 16, 1940, the Yankees opened the season in Philadelphia and lost in the 10th when A’s pitcher Chubby Dean helped his own cause by going the distance and driving in the winning run with a fly to left. That Yankee club would “only” finish 22 games over .500 and it would be the only time in an eight-year span that it failed to reach the World Series. 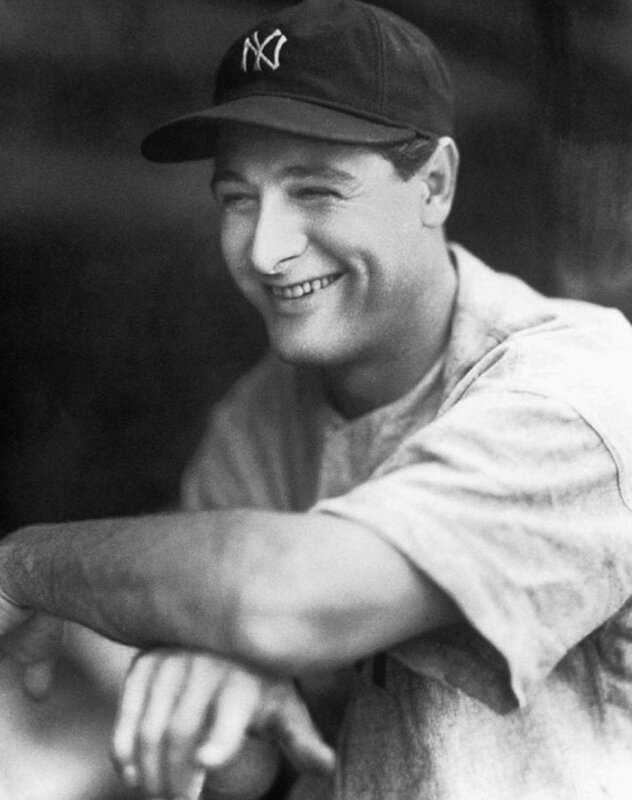 The following year, Gehrig was gone, only 37. Today, MLB is a strong supporter of 4 ALS and efforts to find a cure. You can get involved as well by going to alsa.org and see how to help defeat what eventually became known as Lou Gehrig’s disease. Here is a look back at one baseball immortal . . . Tomorrow in this countdown, there could be another who kept him company. Who should be No. 3? Umm… Pujols is deserving for #5, but what about Hank Greenberg and Joe DiMaggio? Ed, they are both mentioned in the first paragraph in that #5 post. Just amazing stats by one of the greatest players ever. And it’s even more amazing to think what his final stats would have been had he not been cut down by that horrible disease. And for all the RBIs Gehrig amassed, a huge chunk came while batting behind Ruth, who had often cleared the bases ahead of him. Just incredible. Years ago, before websites, heard that Steve Sax tried to get #3 when he went to the Yankees. There should now no other Number 3 in baseball ever. How can Jackie Robinson have his number retired for being “first ever” and The Babe’s not be retired for being the BEST ever? Actually, in 1939, Gehrig continued to travel with the team as a kind of bench coach but he was never taken off the 25 man roster! The ’39 Yankees were one of the best Yankee teams ever yet they did it with 24 men! 24th article should be about Willie Mays! Wilie’s greatness was acknowledged in the 24 Days post. But this is a blog about Opening Day, not merely ranking greatest by jersey number. And we went with Junior because of his homecoming HR that gave him the record-tying 8th OD HR.